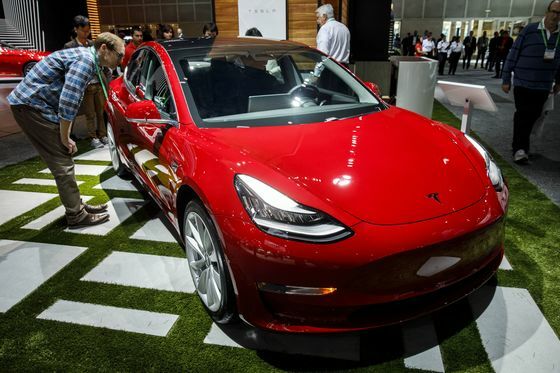 (Bloomberg) -- Tesla Inc. is offering cybersecurity researchers the chance to walk away with an electric Model 3 sedan if they can hack into the car and find vulnerabilities. Tesla, which can ship updates to customers via over-the-air software upgrades, launched a "bug bounty" program in 2014 to reward researchers who uncover and report flaws. These are common the technology industry, but rare in the auto business. That’s beginning to change as more vehicles are connected to the internet, leaving them vulnerable to hacking. "We develop our cars with the highest standards of safety in every respect, and our work with the security research community is invaluable to us," David Lau, vice president of vehicle software at Tesla, said Monday in a statement.